Bienvenido. Tashi Delek. Swaagatam. Welcome to the Global Gypsy Experience where the world provides the muse for a unique, globally-inspired jewelry collection and published travel tales. modern-day nomad - a Global Gypsy, if you will. 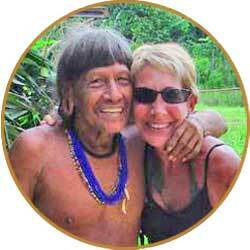 In 2003, Suzan gave up her home and most of her possessions to travel the world. Something she has not stopped doing. Throughout her journeys she collects stones, silver, feathers, and other natural materials to fashion exclusive eco-friendly art-wear creations, Suzan's Global Gypsy Collection exists as an homage to the bounties of the earth. Each one-of-a-kind piece in this handcrafted collection is inspired by her spiritual, physical, and emotional journey to the far corners of the earth, culminating in a line that is deeply personal and aesthetically distinctive. 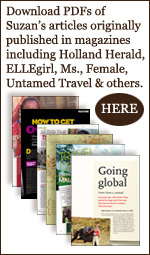 As a freelance journalist, her storied expedition - from music industry public relations executive to backpacking vagabond - has been documented in many international print and online publications, including KLM Airline's Holland Herald, ELLEgirl, Ms., Female, Untamed Travel, The Palm Beach Post, Jordan/UAE leisure magazine VIVA, and eons.com. Description: Round and elliptical-shaped tiger’s eye fuse with intricate Bali silver to create a bold yet earthy adornment for your wrist. 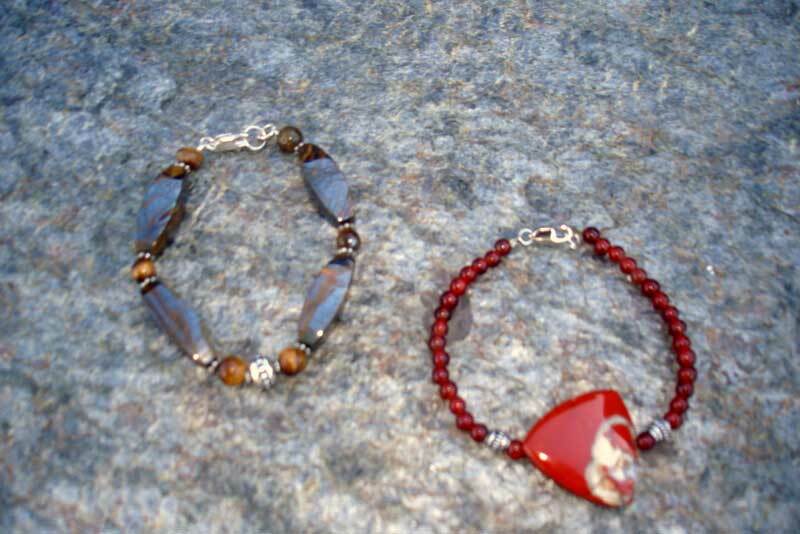 The bracelet further features a sterling silver claw closure and, as with all my jewelry, is a one-of-a-kind offering. I came to Mumbai to be discovered. Well, sort of. I actually came to India’s most populous city to secure my fifteen seconds of fame as an extra in one of the approximately 1,000 Bollywood extravaganzas—twice Hollywood’s output—that are churned out each year by the prolific fantasy factory. 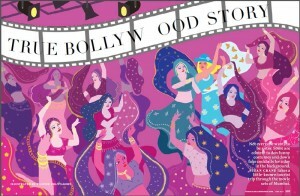 In this three-plus-billiondollar annual industry, Hindi filmmakers regularly seek foreign faces to provide international human wallpaper for scenes ostensibly shot in the likes of London, Dubai or Sydney. And I wanted to be among them. By bizarre happenstance, I’d had a brief flirtation with the fame monster several days earlier in, of all places, Kathmandu when, returning to Thamel district from a hair appointment, I walked smack into the filming of a music video by Nepali actor/comedian Hari Bansha Acharya. Next thing I knew, I was on set alongside four other pale foreigners dancing to a folk-inspired pop concoction lacing the sweet strings of a traditional sarangi with the djimbe’s percussive groove. It was catching. And left me keener than ever to clock additional screen time across the border in India, impending 14-hour workdays for a measly 500-rupee “fee” be damned.